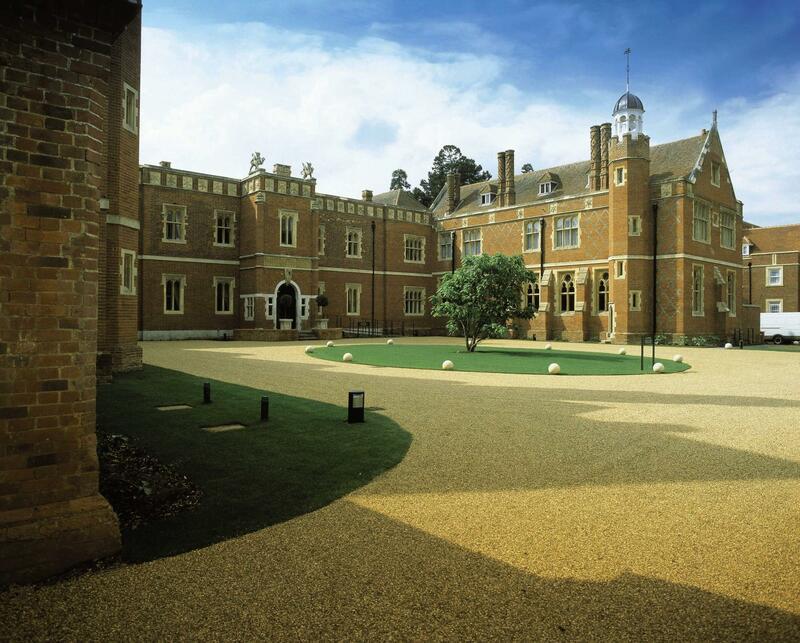 The magnificent Wotton House matches an historic setting with the finest contemporary hospitality. This grand country house, set in 20 acres of listed grounds within the 300 acre Wotton Estate, on the outskirts of Dorking in the heart of Surrey, was once the family home of diarist John Evelyn. 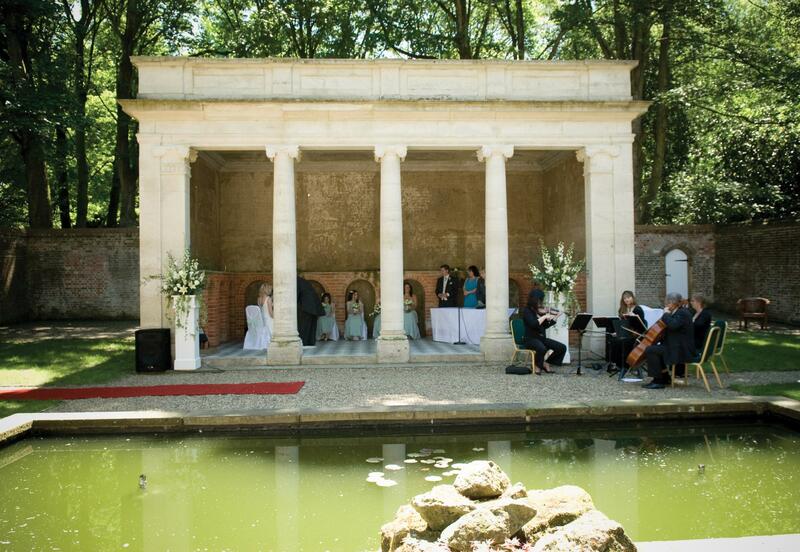 Romance is richly suited to Wotton House which boasts an outdoor venue in our Turtle House, which is licensed for ceremonies. The Turtle House, set in a beautiful Italian garden, is the ideal setting to start your day. Our delightful Orangery Suite, which overlooks the gardens and has direct access to the terrace is an ideal setting for your guests to relax and enjoy the superior service offered by our dedicated and professional staff, whilst enjoying drinks and canapes in sumptuous surroundings. 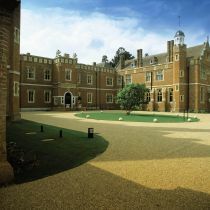 Showcasing breathtaking 17th century architecture, Wotton House is one of the most exclusive wedding venues in Surrey. 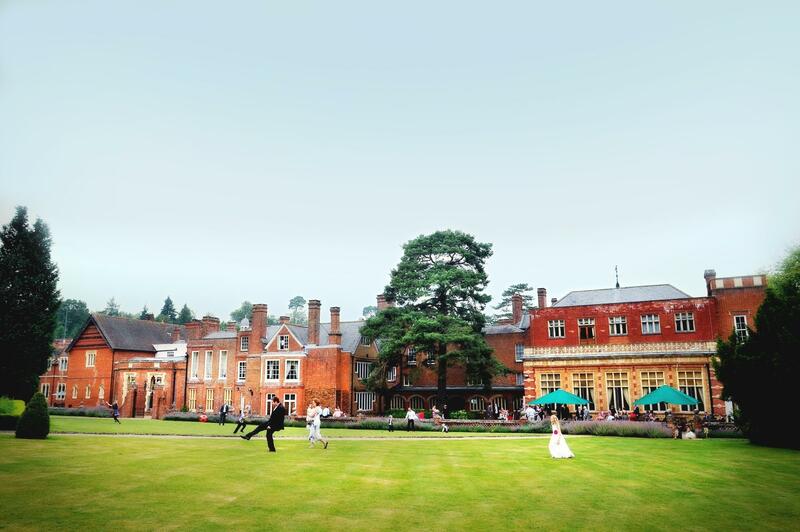 With endless photo opportunities, your guests will astounded by the majestic beauty of Wotton House, with its elegant sweeping driveway and unique features creating the perfect backdrop. 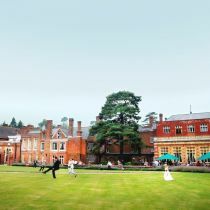 The hotel boasts unique Roman-style temples, ponds, a stream, grottos, and 13 acres of beautiful gardens that have been part of the National Gardens Scheme. 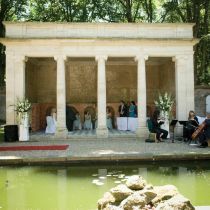 Turtle House: A breathtaking outdoor wedding ceremony area set in a beautiful walled garden. 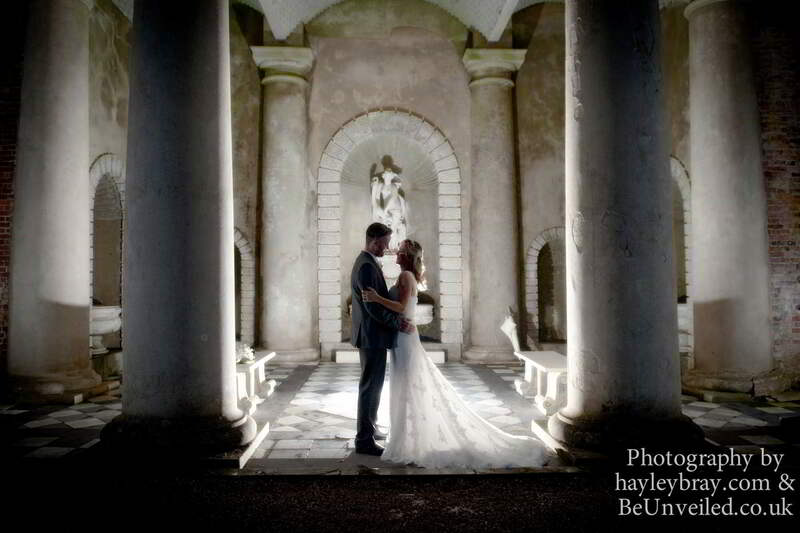 The Turtle House is licensed for civil ceremonies and civil partnerships for up to 138 people. 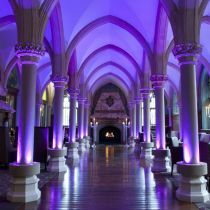 Also available for private drinks receptions. 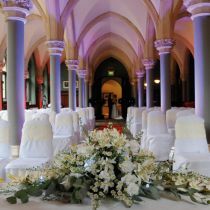 The Old Library: Dramatic room with vaulted ceilings and two fireplaces, licensed for civil ceremonies and civil partnerships for up to 138 people. 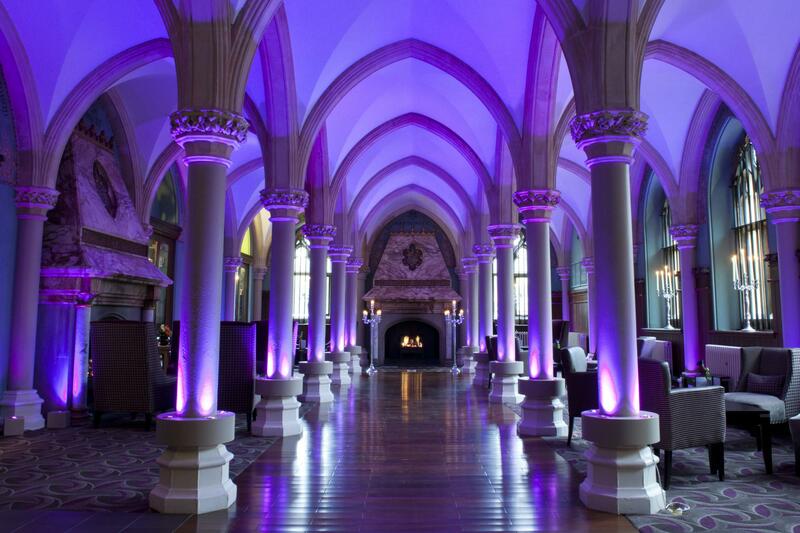 The Old Library is also available for private dinners for up to 80 people and private drinks receptions for up to 150 guests. The Orangery Bar: Overlooks the gardens with direct terrace access, elegant surroundings for drinks and canapés for up to 150 guests. The Evelyn Suite: A light airy room creating a dazzling, dining experience. With four large doors opening up onto the beautiful back gardens and looking out onto a picturesque pond, pretty bridge and grotto. Up to 120 guests seated. 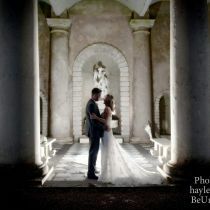 The Wotton Suite: With access to the Italian Gardens, front and side stream, ideal to pop into the fairytale grotto for those amazing photos. Up to 150 guests seated. 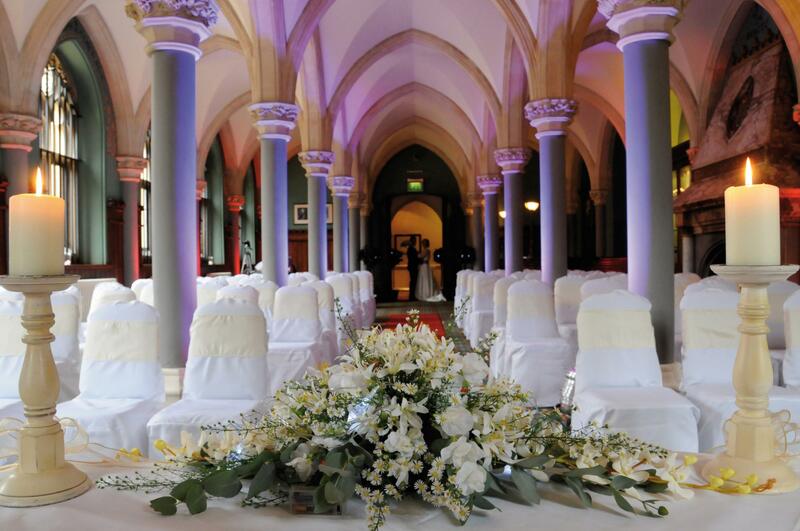 The Drawing Room: An elegant and traditionally styled intimate room, licensed for civil ceremonies and partnerships for up to 50 guests, and small and private dining and wedding breakfasts for up to 50 guests.